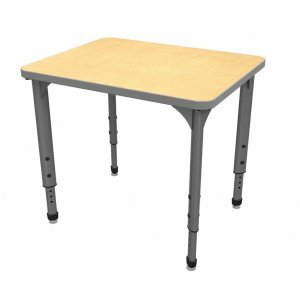 With the right school desk, students can work comfortably throughout the day and maximize their learning potential. 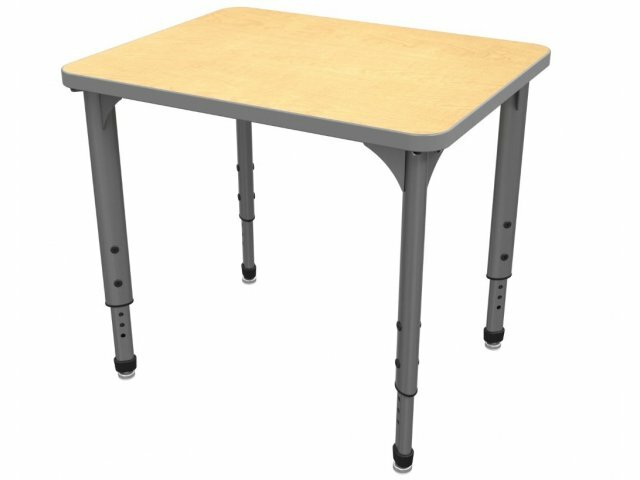 Apex School Desks adjust to fit your students. Their straightforward modern design provides a durable workspace for the long term. Worksurfaces are finished with laminate on the top and bottom and protected by edge banding that is bonded with hot adhesive, so germs have no place to hide. 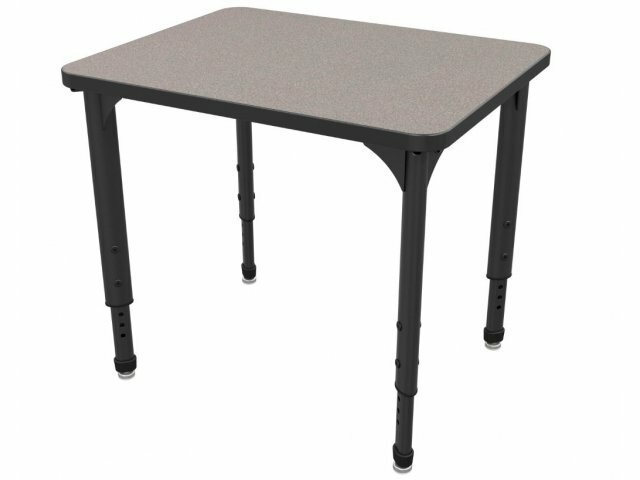 These adjustable school desks have sturdy support. Their 16-gauge steel legs are mounted onto steel plates. Height adjusts in 1” increments, making them a viable option for students of many ages. Practical accessories offer convenient choices to make your student desks even better. Great Selection: Available in a variety of sizes and shapes to fit your space. Smooth Finish: Desktops are finished with durable, impact-resistant thermofused melamine laminate on top and bottom. Edge Protection: Surfaces are protected by 3mm PVC edge banding bonded with hot adhesive, which eliminates places for germs to hide. 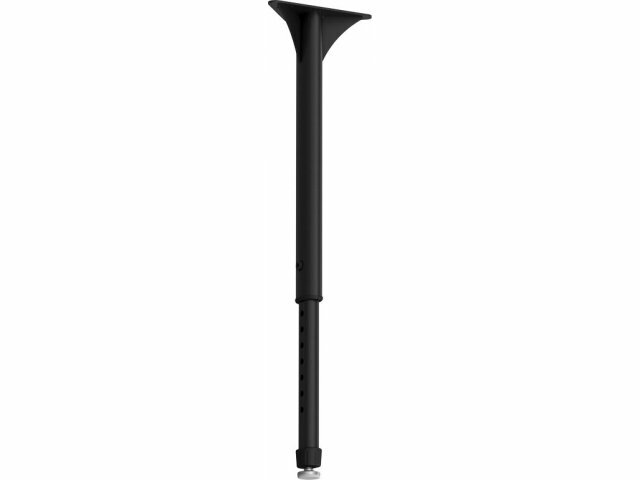 Tough Support: Stands on four powder-coated 16-gauge steel legs mounted on a 12-gauge steel plate. No Hassle: Pre-drilled holes facilitate easy assembly. 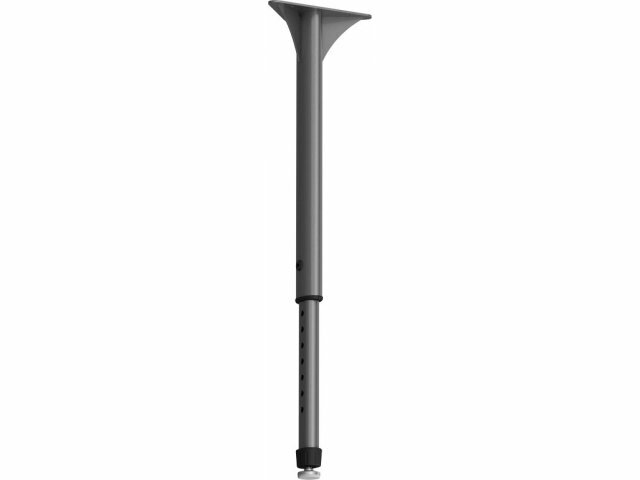 Perfect Fit: Height adjusts from 21-30" at 1" intervals. Secure Position: Nickel plated nylon swivel glides maintain balance.